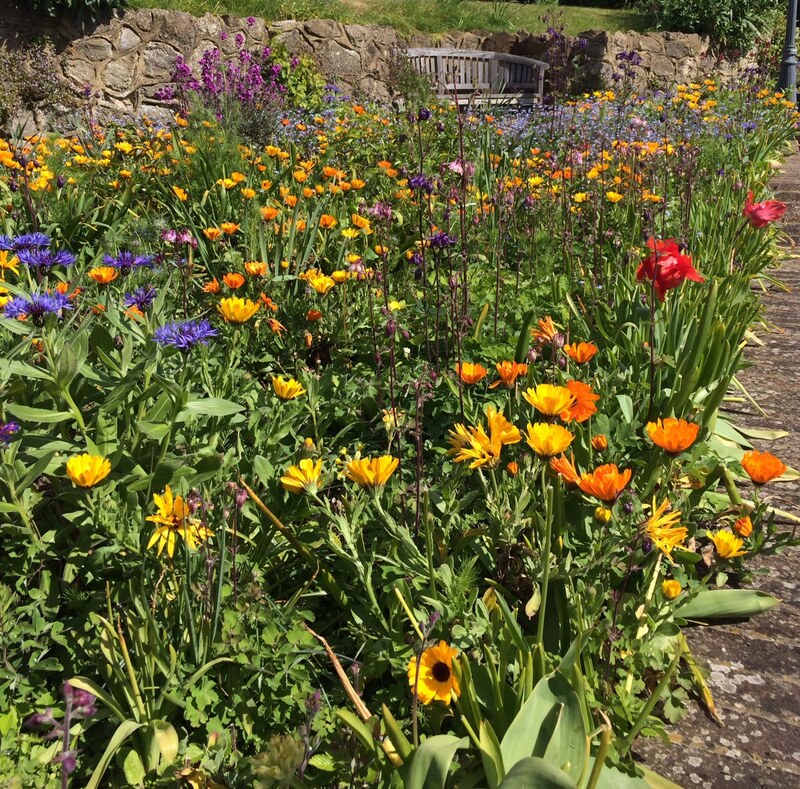 My neighbour’s front garden – it is mostly self-seeded and is a joyful riot of colour. 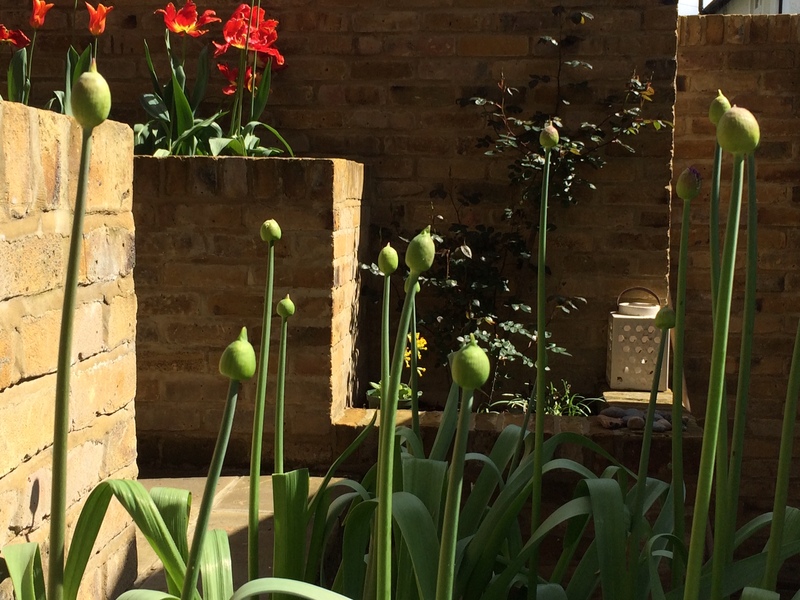 In our garden, big fat allium buds are almost ready to burst. They are mostly ‘Purple Sensation’ with a few A. cristophii. I planted them here en masse to protect them from the diggers last year, but I’ll move them into a mixed border after they’ve flowered as I love to see them among other plants. This one has burst. It’s a lone allium in a pot at the front of the house. I don’t know how it got there – I didn’t plant it! Lilac buds are just coming in to flower by the path and the smell is intoxicating. 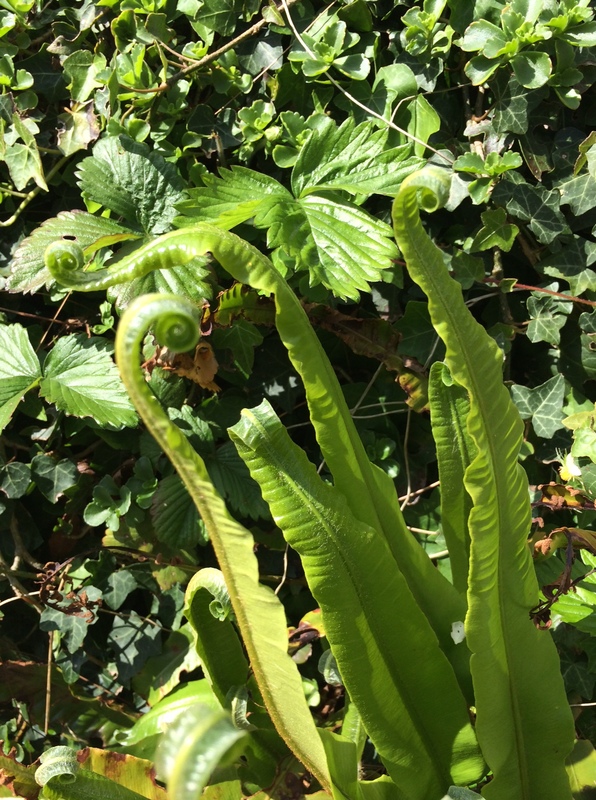 A hart’s tongue fern unfurling. A short post today as there’s much to do and I must get on with it. Here’s wishing you a very happy mid-May weekend wherever you are and whatever you are doing. 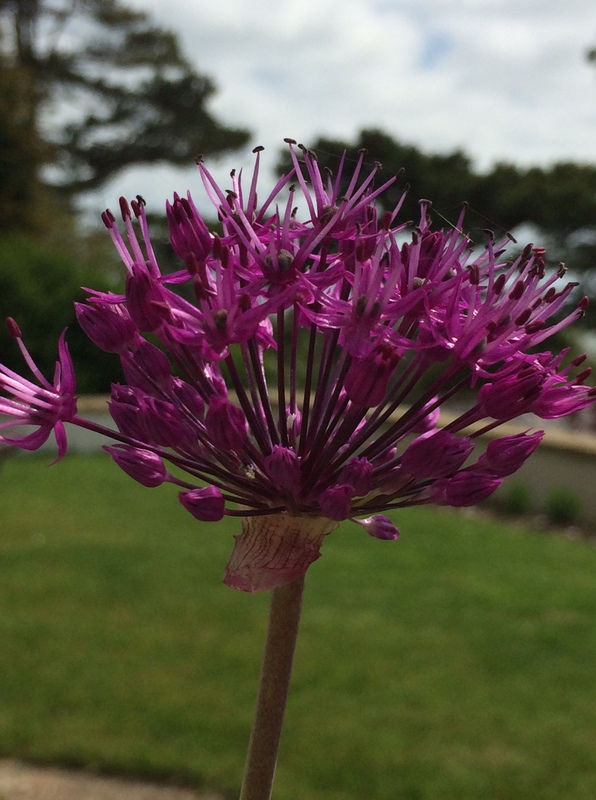 I’d forgotten that I’d planted alium so just poked my head outside and there they were! 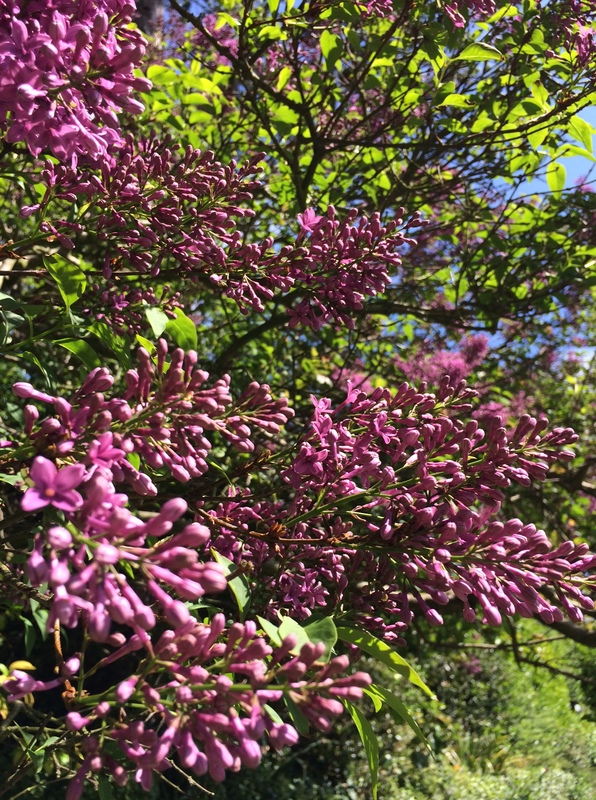 Isn’t the lilac glorious? Super-duper – it’s such a thrill to rediscover plants when you’ve forgotten they were there. Oh this all looks gorgeous Sam. My aliums have nothing but leaves – second year since I planted then and still nothing! Am looking forward to having a good browse around your blog when we’re away for a few days soon.